What happens when your electronic GPS system doesn’t work? You have to rely on something else — maybe even something so antiquated as your inner guidance system. Remember what it used to be like to get somewhere by feel? You had to tune in to something within. If you are or will be a parent by adoption or donor conception, you may want to consciously decide whether you will root your parenting inner guidance system in fear — or in love. The decision, consciously or unconsciously made — will have a profound impact on the rest of your life, and on the life of your child. It’s a decision you’ll have to make again and again. This is why we are called on to cultivate mindfulness. If regular old parenting takes courage, adoptive parenting takes super-courage. Did you know that the word courage comes from the same root as coronary? Ha — no coincidence! Cuer (Old Fr), Cor (Lat) = heart. 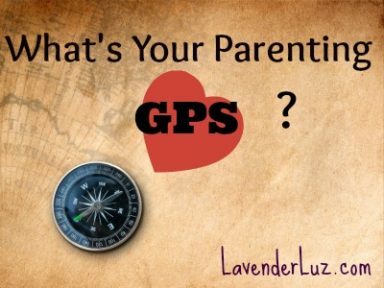 The heart as your parenting GPS. Here’s the fourth and final question I was asked by an audience member in a webinar I led earlier this year. The webinar was on openness in parenting via donor conception, which has a lot in common with parenting via traditional adoption. Once again, I’m encouraged the question came up, as it indicates that adoption professionals, embryo or otherwise, are grasping the WHY of true openness and ready to focus on the HOW. I set out a few years ago to create such a guide. People living in adoption shared their stories with me and the result is The Open-Hearted Way to Open Adoption, which turned 2 years old this week. This post from my archives, ” ‘Real’ in Adoption and How it Splits Our Babies” offers a brief intro to shifting from an Either/Or mindset to Both/And heartset, which is one of the steps of moving from fearful to fearless. Thirdly, in the book there is a link to this audio exercise on mindfulness. Becoming more mindful about our own fears and motivations is a key part of resolving fear and becoming fearless as we parent via adoption. Blog: Kim Court, birth mom in an open adoption for 25+ years. What do you think? How can people move from fearful to fearless in parenting? How can they continually orient their parenting decisions in their hearts rather than in their fears? How can adoption professionals better explain the benefits of openness to clients who want to keep things closed? My 17 year old wants to go live with his birth parents. What should we do? This post is also part of #Microblog Mondays. What’s that? A post that is not too long. Head over to Stirrup Queens to join the fun. Of all the questions I’ve received while leading workshops and webinars on openness, this one stands out because it gets at the heart of the the deepest fears people have about undertaking a parenting journey in which our child has (shudder) other parents. Fear causes us to close down. And as we see from so many comments on the previous post in this series, closing down can so easily cause us to lose what we want most. Think of loving a flower so much you crush it in your hand. Here’s the third question that came at the end of a webinar I delivered on parenting via donor conception (donor eggs, donor sperm, donor embryos). You’ll see again that third-party reproduction and traditional adoption have a lot in common for both parents and children. How do you handle a 17 year old who you have raised with love and understanding and all of a sudden they decide they want to go live with there birth parents because they say your rules aren’t fair? This is where mindfulness and resolving our own triggers can keep an issue from being magnified. For if we are able to neutralize fears within us, then we are free to focus only on the teen’s issue. As the grownups in the equation, isn’t that how we’d like to parent — to make sure our kids don’t have to navigate our issues as well as theirs? So that’s the first thing: resolve any fears you may have about not being good enough parents, about being abandoned by your teen, about feeling unappreciated (“after all I’ve done for you”), about losing your teen to his birth parents. The second thing is to tune in with your teen. Sometimes that’s simply abiding with him — bearing witness to his angst without question or lecture. Sometimes it’s finding a good counselor or therapist (an adoption-competent one if at all possible) to help work through knotty problems like control issues — common to adoptees, according to the Primal Wound theory — identity, relationships, self-esteem, and other things teens grapple with. Wanting to move in with birth parents may not be the actual issue, but a piece of a bigger puzzle. Mindfulness is allowing space and light into a dark, tight place. Mindfulness is stopping to breathe. Mindfulness is a tool that helps us open to our inner selves. Mindfulness enables us to pull out our fears and resolve them. 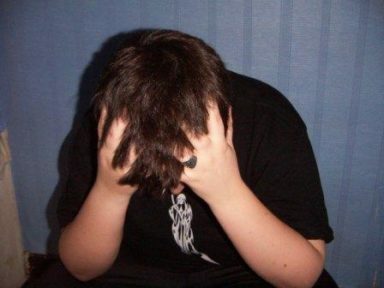 Without mindfulness, your issues and your teen’s issues could mix in a toxic way, with everyone reacting from deep-seated fear, everyone panicking, and with things so much harder than they need to be. If you’re in the grip of fear at the same time your kiddo is, who’s driving the bus down the craggy mountain? Think about what you want most with your kids. I’m guessing in the top 3 would be a healthy, vibrant, eternal relationship. Are you more likely to get that by being closed or by being open? You can see that my response to the participant’s question is more about how to figure out what to do rather than offering actual advice what to do. In preparation to handle this very difficult situation — which I may very well face myself one day — I aim to do two things. Preserve the relationship with my kids above all else. Remain vigilant of my own fears and insecurities and deal with them so that they don’t affect my judgment or my relationship with my kids. What do you think? What advice do you have for the parents of a teen who wants to live with a birth parent? Is that different from wanting to live with another person? Why or why not? This is part 2 of the Parenting GPS series, in which I’m sharing Q&As from a webinar I delivered recently on openness and embryo adoption (or donation — pick the term that works for you), which is similar in many ways to traditional adoption. In fact, many of the questions that arose from the Nightlight audience had to do with traditional adoption…like this one. ­Q: I spoke with an adoptive mom who had contact with her sons’ birth moms, but the contact didn’t extend to the boys. 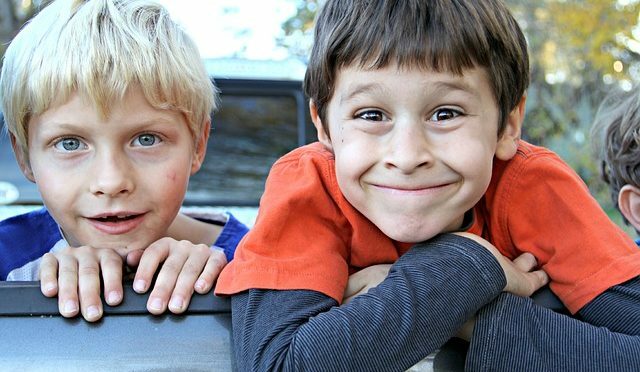 When talking to her sons about adoption, she would not tell them their birth moms’ names, even though both boys have asked. What do you think? Well, I think it’s a pity and a lost opportunity. * Barring some X-factor, it sounds on the surface that this decision to keep birth moms and sons separated may be based on fear and on a desire to hold tight to control. Either as a motivating factor is likely to come back and bite her. When those boys become men, or even before that, this woman may have some ‘splaining to do. I would gently probe to find if she has a rational, non-fear-oriented way to justify this arrangement. I would try to get her to see that not addressing her own issues may cost her one day in terms of her relationship with her sons. I’d remind her that nothing is more important than the relationships we have with our children throughout their lives, and the trust that underpins it. Healthy and sustainable relationships are based not on fear but on trust. The grownups involved must be willing to identify and resolve their own fears and triggers and issues and deal with What Is. * I wonder if there could be a significant piece of the woman’s decision to keep people separated that’s not stated here. Like what, I can’t imagine, but if there were I’d want to re-evaluate. What do you think? Are there situations in which it’s all right to withhold any or all of our kids’ stories?